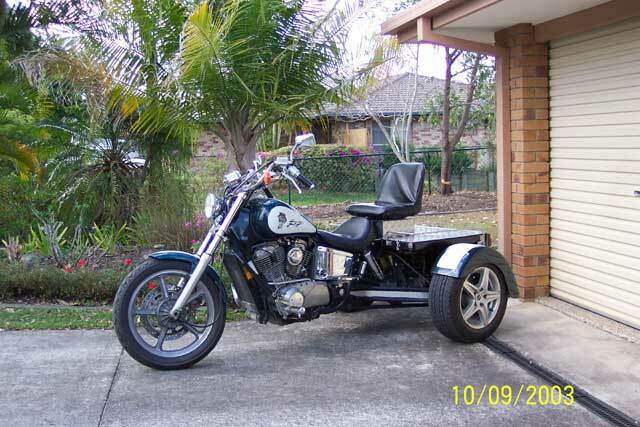 Please see my 1993 VT 1100 Honda Shadow (American made) which I had converted to a Trike. The rear end is a Ford Borg Warner Diff, has reverse using a starter motor from a car connected to a cogged disc the same size as a fly wheel and has a pump up air ride bag for additional height adjustment for extra loads for camping equipment. I am progressively updating it.